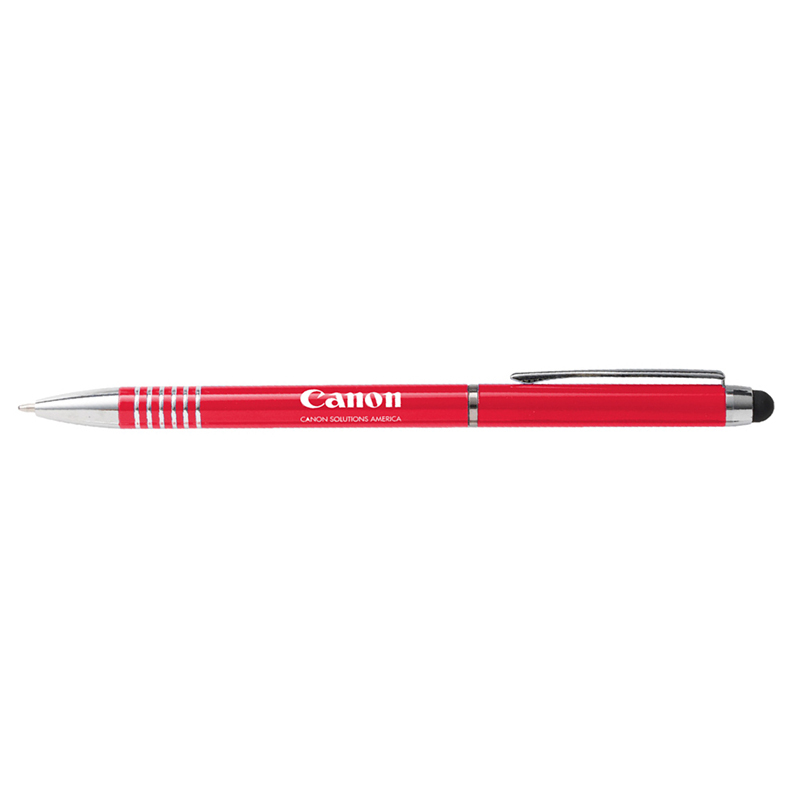 Twist action pen with curved comfort grip and a soft-touch stylus to use with your touchscreen devices. Medium Point. Black ink refill. Colors Available: White, Black, Blue, Red.